At this point, whether you’re a Kentucky fan or not, it’s impossible to dispute that the Wildcats are one of the elite teams in college basketball and a bona-fide national championship contender. When you win nine straight games, own wins over Kansas, North Carolina, Louisville and at Auburn and Florida that tends to happen. Ultimately we all know this is just what John Calipari does – getting his teams to play better throughout each and every season – yet even by the insane standard John Calipari has set, this season is shaping to be maybe his greatest turnaround yet. The question of course is, how did it all happen and how much better can this team get? There literally might not be a single better person on the planet to answer that question than ESPN’s Jimmy Dykes, who has called a number of Kentucky’s games this season, and has also seen many of college basketball’s other elite teams in person this season, including the No. 1 ranked Tennessee Volunteers. So what does Dykes think of the 2019 Wildcats? 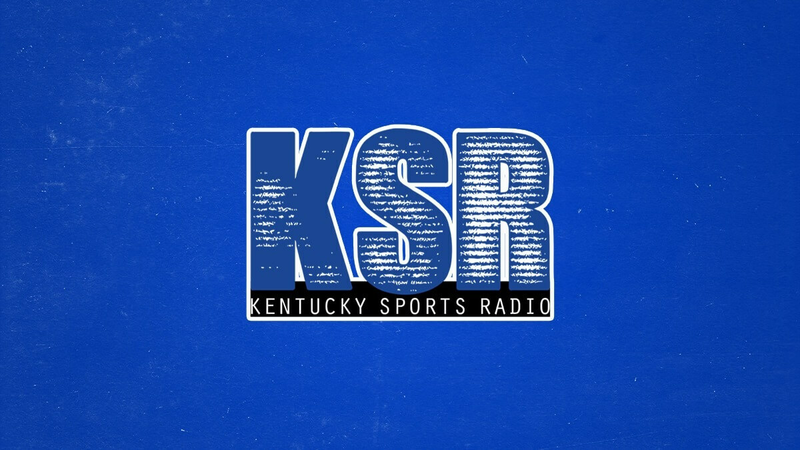 He joined KSR’s Aaron Torres Sports Podcast this week to discuss Kentucky, SEC hoops and so much more. And even Dykes is surprised by just how good Kentucky has gotten, and just how quickly it has happened (you can download the whole episode here). The interview was recorded right after the Vanderbilt last week and prior to the wild comeback at Florida. They’re probably ahead of schedule. They’re looking more like it’s the end of February not January, with the way they just punished Vanderbilt. A Vanderbilt team that just took the No. 1 team in the country [Tennessee] to overtime. So they’re playing at a high, high level on both ends of the floor. Offensively they know who they are now. They have an offensive identity. Defensively, still, they can still have another 20, 25 percent improvement on that end of the floor which is what you want. You want your team to still have an area of growth right now. They’re playing like one of the Top 5 teams in the country. They’re right there with anybody. I still think Tennessee and Virginia are the best two teams we have right now based on how they would play on a neutral floor. Tennessee is terrific. Virginia is terrific. But man, Kentucky has really closed that gap over the last six or seven weeks. From there, Dykes was asked what exactly Kentucky needed to improve upon going forward. Even the great teams always have small tweaks they can make to take their games to a higher level, and the Wildcats are no exception. At first, Dykes reiterated that continuing to improve on defense would be key (like it is for every team in college basketball) before turning his attention to more consistency overall. That’s right, we’ve seen just about everyone on this roster have a breakout game or two (including E.J. Montgomery on Tuesday night against South Carolina). Imagine if they could get everyone in their rotation, including Montgomery, Nick Richards, Immanuel Quickley and Jemarl Baker playing well off the bench at the same time? Finally, Dykes wrapped by discussing Kentucky in a general sense. And yeah, to be blunt, he likes what he sees. That’s a tough team to beat right now because of their length, their overall size, they can really overwhelm teams when the ball is on the glass. Overall, it was a fun interview, as Dykes, the man who has become the voice of SEC basketball, shared his thoughts on the Wildcats, the league as a whole, and what it would take to beat Tennessee down the road. To listen to the full interview, subscribe and download the Aaron Torres Sports Podcast here or listen online at Pod Paradise. Pace is the reason I don’t buy UVA as the best team in college basketball. Serta should sponsor March Madness if they win the last game of the season. Fun aside, I don’t watch anybody other than UK. So, I don’t know anything. Everything I read about UVA (and that’s not much) indicates that their style of play is designed to be statistically superlative. The only way you can do that is to slow the game down, play the odds and build a pipeline of players who do It all the same way for four years. When they bump against a faster, more talented, better coached, highly motivated team, they’re gonna lose. All of those factors, especially the motivation, come together in the ACC and NCAA tournaments. I ain’t buyin’ no UVA stock. I try to never comment about non-UK things here. I also try not to be negative online. Just over the UVA hype. Glad a basketball expert on the level of Jimmy Dykes thinks the Cats belong in the Top 5 teams conversation. Even though I think the College Game Day crew and Raftery know the game best of anybody in the media, I also think their comments are commercially influenced more than somebody at the level of Jimmy Dykes or Andy Kennedy. So, I put more stock in Dykes’ and Kennedy’s comments. Go Cats, beat MSU.